Environmental, Health and Safety News: Every year as much as one-third of Madagascar, one of the planet's most biodiverse islands, goes up in flames. Every year as much as one-third of Madagascar, one of the planet's most biodiverse islands, goes up in flames. Madagascar is world-famous for its lemurs, a diverse group of primates that are endemic to the Indian Ocean island nation. Madagascar is also known for widespread bush fires that are usually set by farmers and cattle herders seeking to clear land for subsistence agriculture or promote the growth of new vegetation for animal fodder. 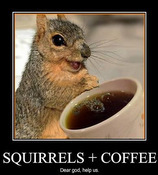 These fires sometimes escape scrub areas and spread into parks and endangered forest areas. While the Malagasy government has tried to crack down on burning, the lack of an effective monitoring system has made it difficult to track fires and keep them from spreading. 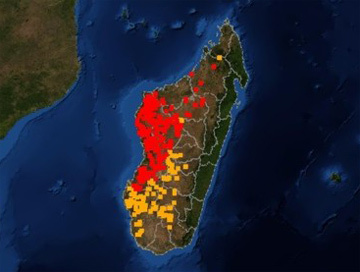 The new Fire Alert System  a collaborative effort between Madagascar's ministry of Environment, the International Resources Group, and Conservation International with USAID funding -- allows anyone with an Internet connection to see where fires are burning. The system includes email alerts that notify subscribers when a fire has been detected in a specified area.